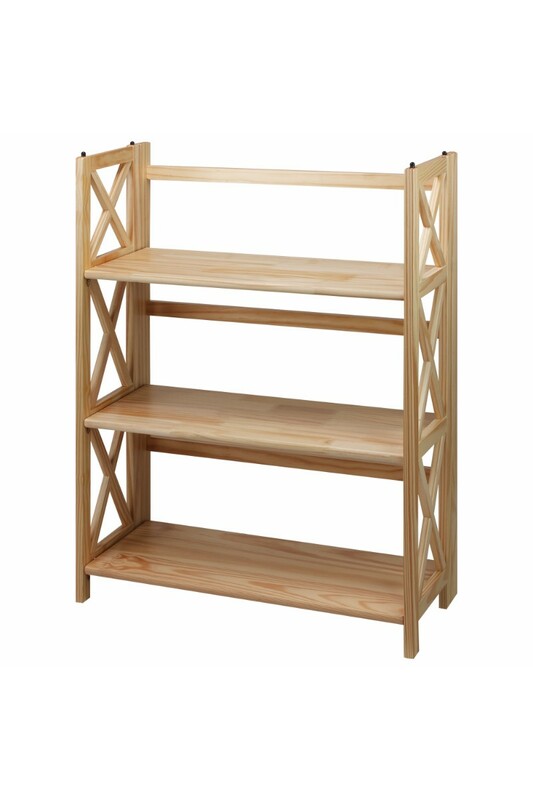 Sturdy and stackable, the X-Design 3-shelf folding bookcase is ideal for any storage. 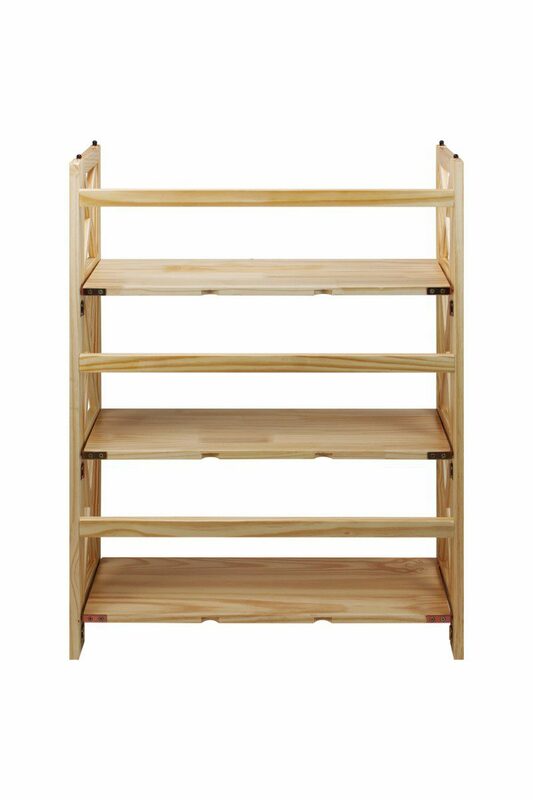 Stackable design allows your storage and home design to grow when you need them to. Effortless fold-up engineering means versatility with ease. 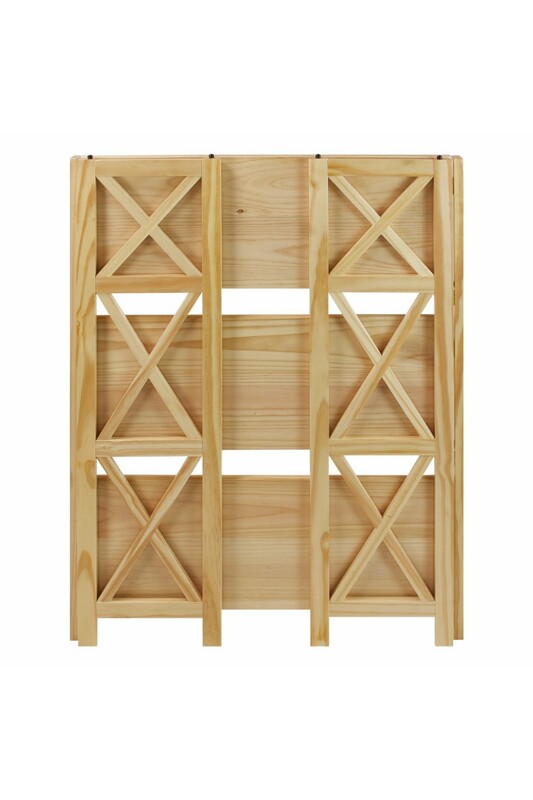 Sturdy and stackable, the X-Design 3-Shelf Folding Bookcase is ideal for any storage. 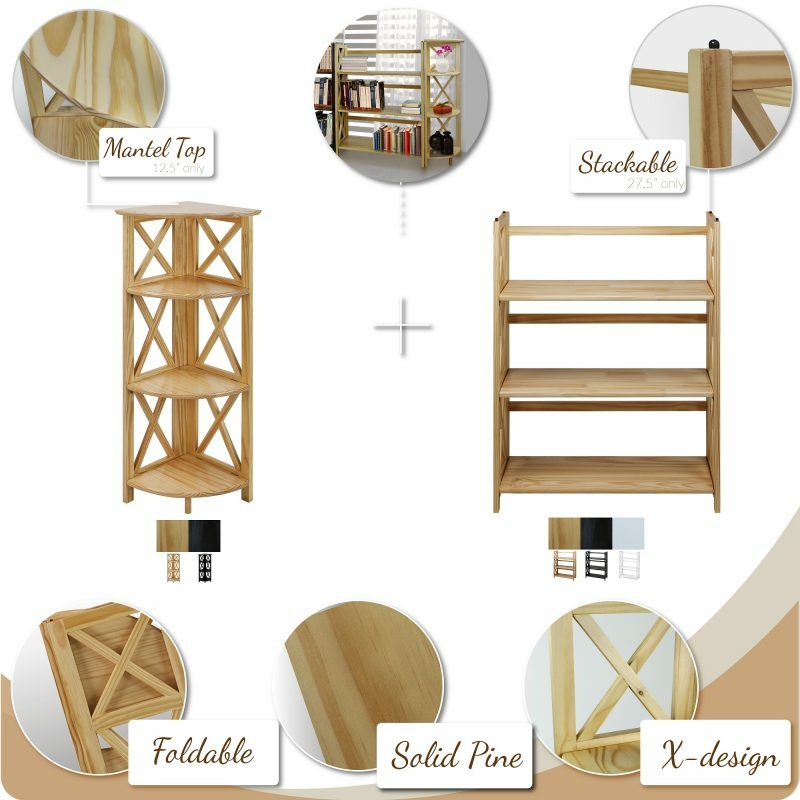 Stackable design allows your storage and home design to grow when you need them to. Effortless foldable engineering means you can transport or store with ease. 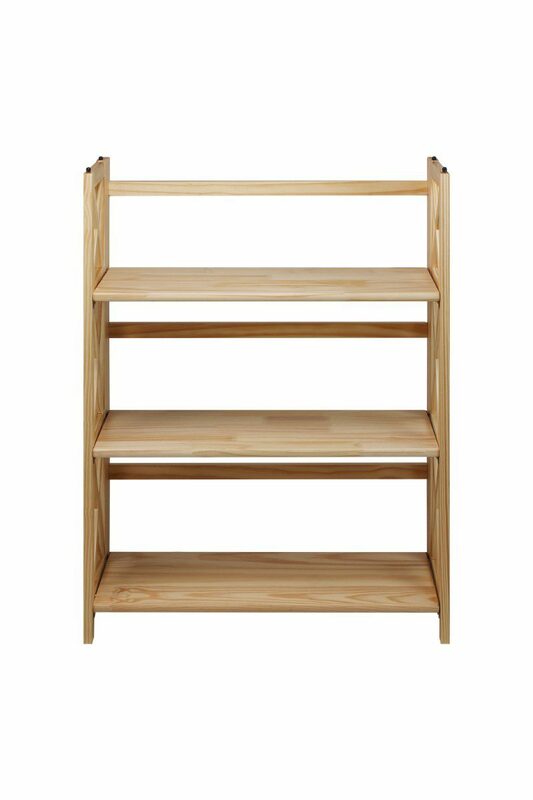 Constructed from solid wood for lasting beauty. 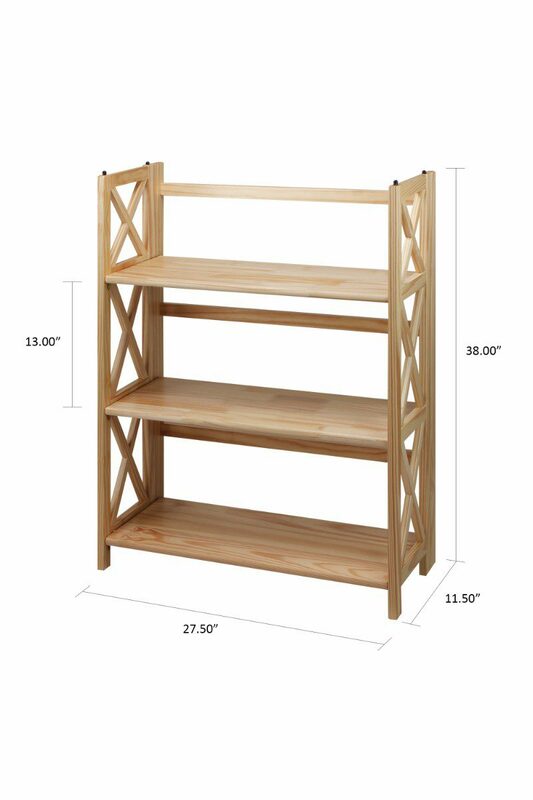 3 shelves to maximize storage and decorative displays. 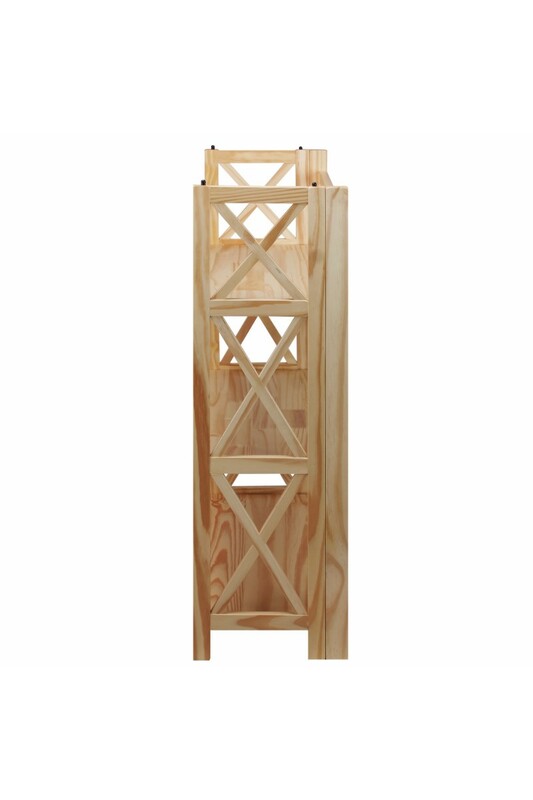 Stackable design allows for versatile design ability. 27.5″W x 11.5″D x 38″H, Weight: 20 lb.